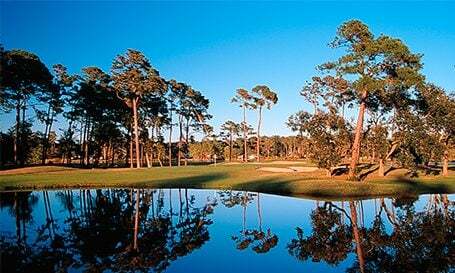 Just over the state line, is Tiger’s Eye Golf Links in Sunset Beach, NC; one of the five upscale Big Cat courses on the Ocean Ridge Plantation’s prestigious property, and perhaps the toughest to tame. 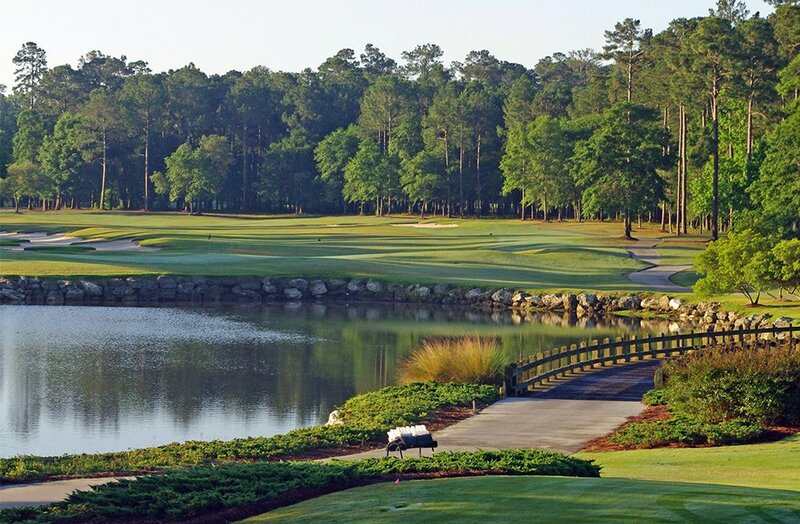 Built upon virgin Carolina pine forest and natural sandhills, this links-style layout features 60-foot changes in elevation, rare for a coastal course, with breathtaking scenery and strategically placed obstacles along the way. 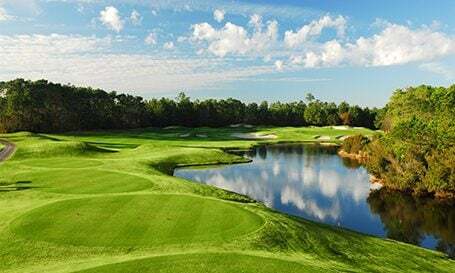 Featuring a stunning combination of natural waste areas and wetlands, native grasses and wildflowers, and scenic salt marshes and waterfalls, designer Tim Cate made good use of the terrain to make sure Tiger’s Eye is both beautiful and challenging. Despite the physical demands presented by the layout. Tiger’s Eye is a thinking person’s course that requires precise shot-making and a steady short game. That’s why it’s no surprise it has been ranked among Golf Digest’s “Top 100 Public Golf Courses in America” in recent years. Had called a couple of days before booking a tee time, I was told the greens were in good shape. Wrong info for sure. While we only were able to play 6 holes due to rain, greens 3-6 were very badly beat up. Lots of patches and difficult to put through. Perhaps finer in the summer, the course was in near unplayable shape despite charging as if it were in premium condition. Greens were obviously dead and painted and hadn't seen water in a while. No pitchmarks because the ground was so hard. Could not understand how somebody could pay the full rack on this course when it was in worse condition than most munis. Staff was great, course design was interesting but with the conditions being so poor, it was a true waste. It had just rained so it was wet but the course was in super shape for winter golf. Greens were firm and fast despite the rain. Staff was friendly and enthusiastic. Definitely will be returning to this course in the summer to see how it plays. Great course. Fair course. This time of year all the courses in the MYRTLE BEACH area overseed the fairways so they should probably give you a better price to play. The weather was great. Overall, great day! Great course! Would definitely play it again. Clubhouse and staff were outstanding. Pro shop had an excellent selection. I accidentally made a tee time for a different day but they went out of their way to accommodate us. We all enjoyed the layout....plenty of variety, plenty of sand and water without being the dominant feature. All three of us shot 77 or below from the blue tees. We will definitely return. This is a nice course, which has had a good ranking. I would give it only 3.5/5 on my visit due to the poor condition of many of the bent grass greens. There were patches with no grass on some of the greens. This is the first time I have played this course. Undoubtedly, the hot nights over the past few months have made maintaining these bent greens very difficult. One of the sister courses, Leopard's Chase, was played on the same day, and their bent greens were in better shape. A great course that is well maintained. Excellent golfing experience, will definitely consider a return, overall best course conditions of all 3 courses I played on this trip!